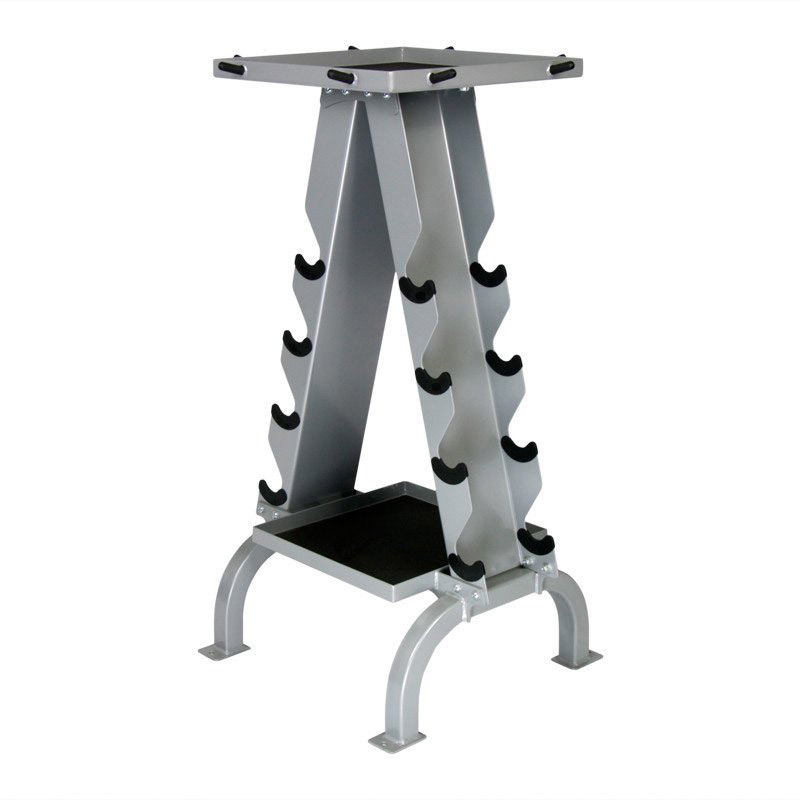 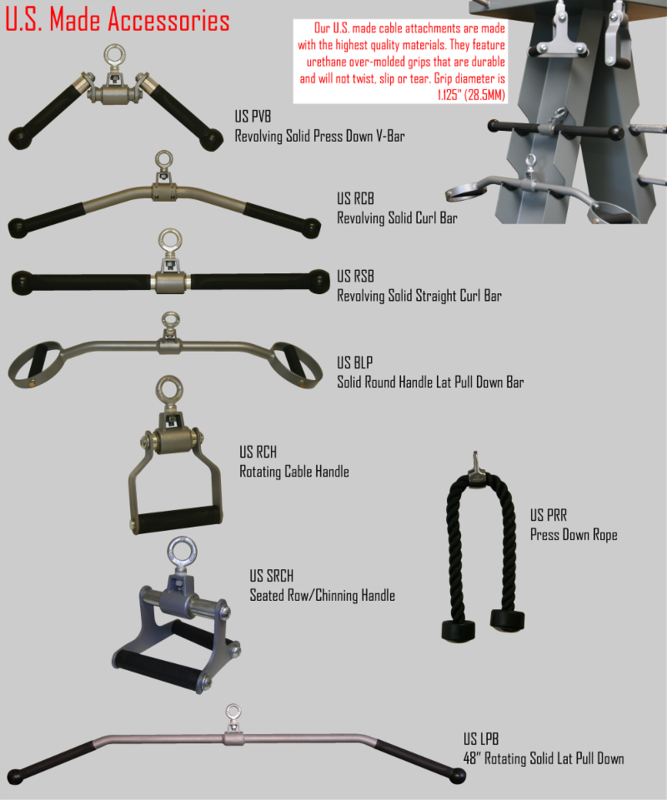 Having a variety of cable attachments for your home gym, cable crossover machine, jungle gym, or lat pull machine is a great way to increase the intensity of variety of your workout. 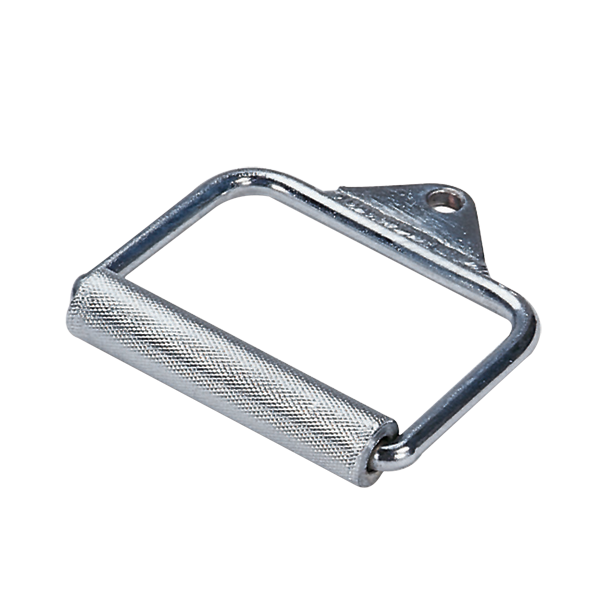 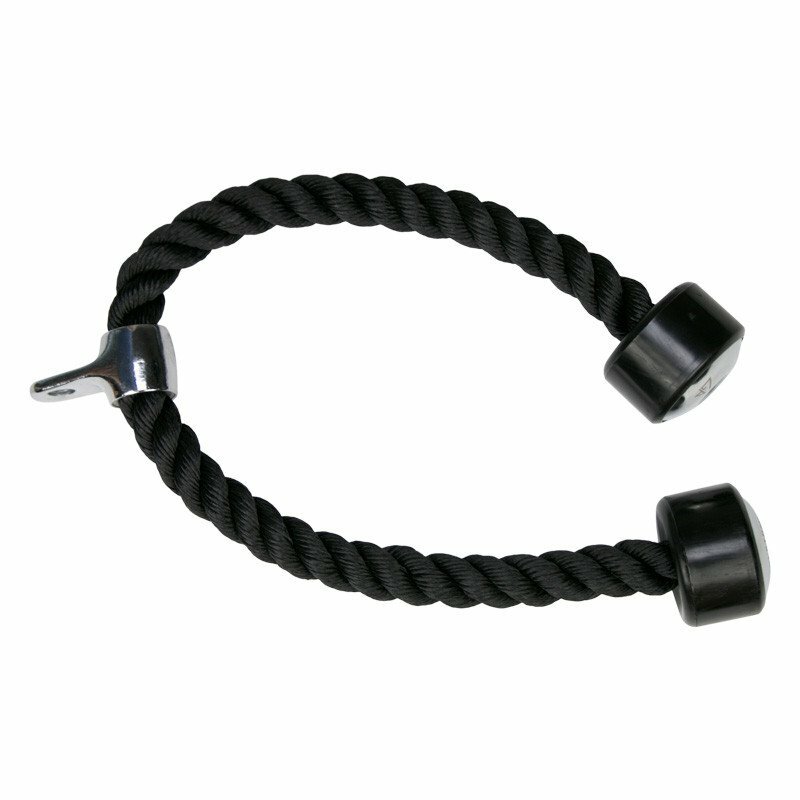 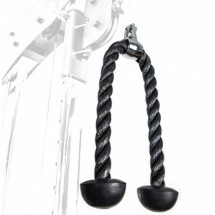 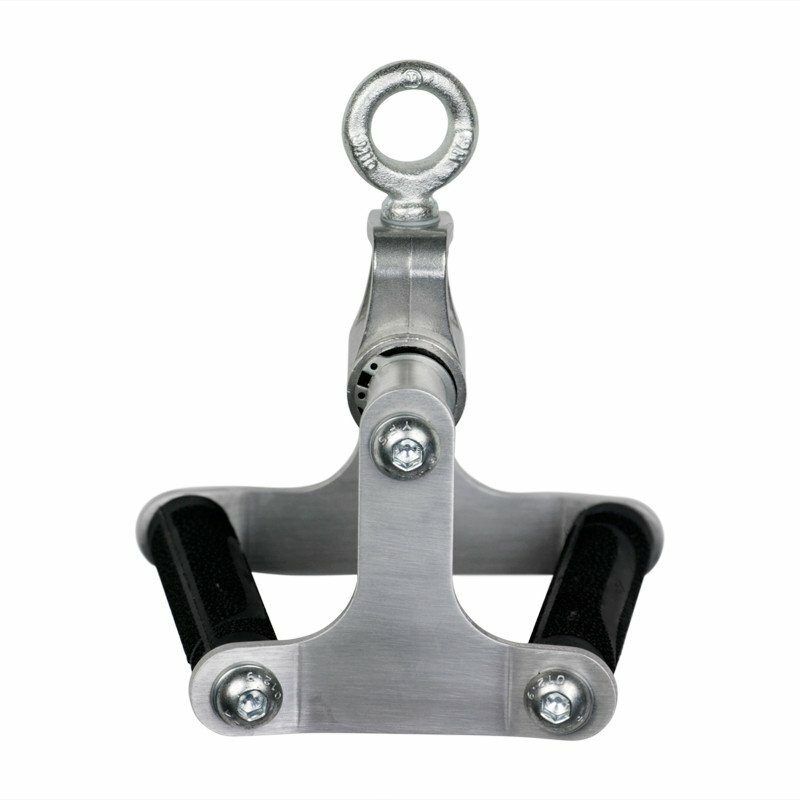 Cable attachments are easily hooked to your training equipment with a carabiner device. 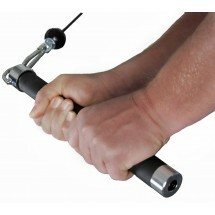 You can switch to a new cable attachment in seconds. 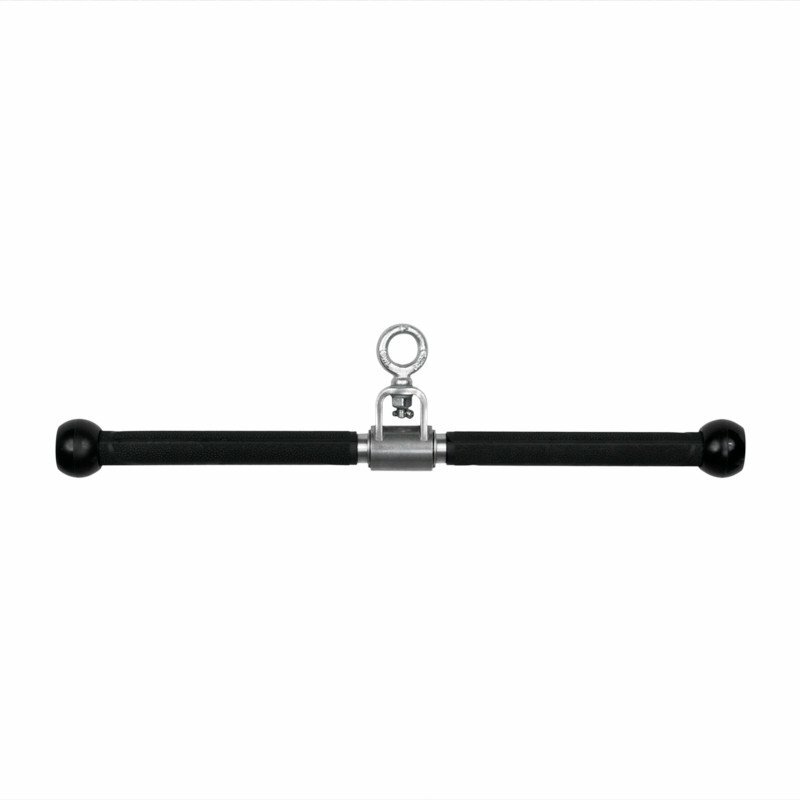 Cable attachments come in all shapes and sizes. 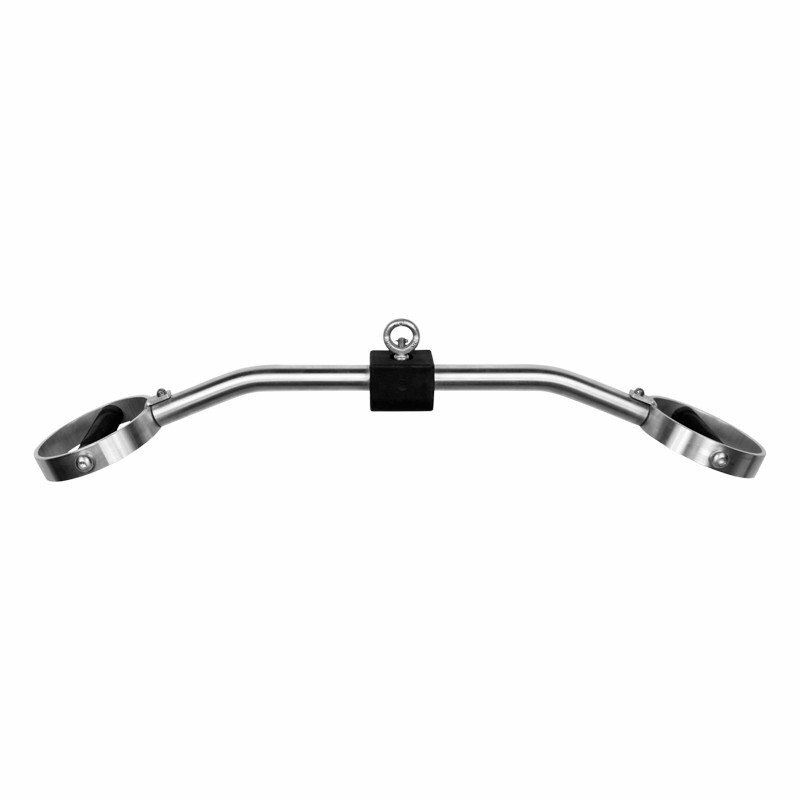 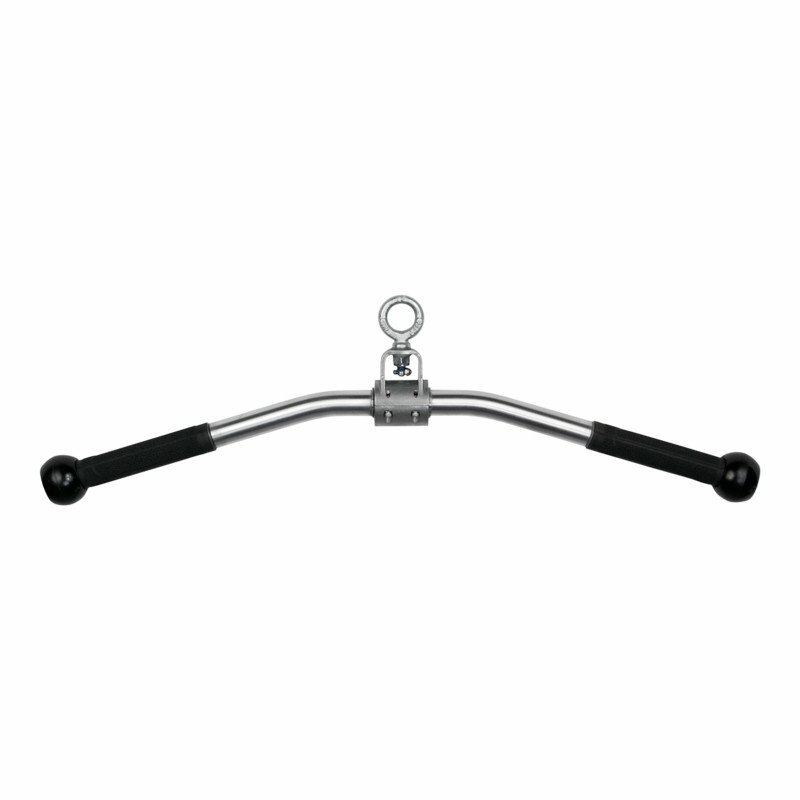 We carry cable handles, tricep ropes, lat bars, revolving straight bars, revolving curl bars, pro lat bars, v-bars, ankle straps, thigh straps, ab straps and more. 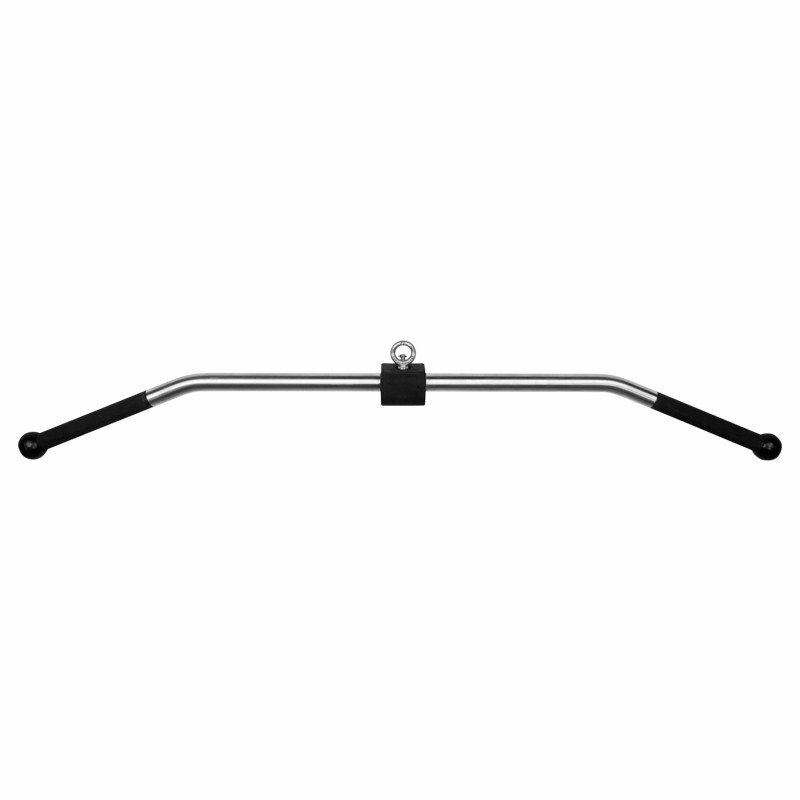 So long as your machine has a cable and accessory attachment carabiner you can vary your workout with a selection of cable and gym attachments. 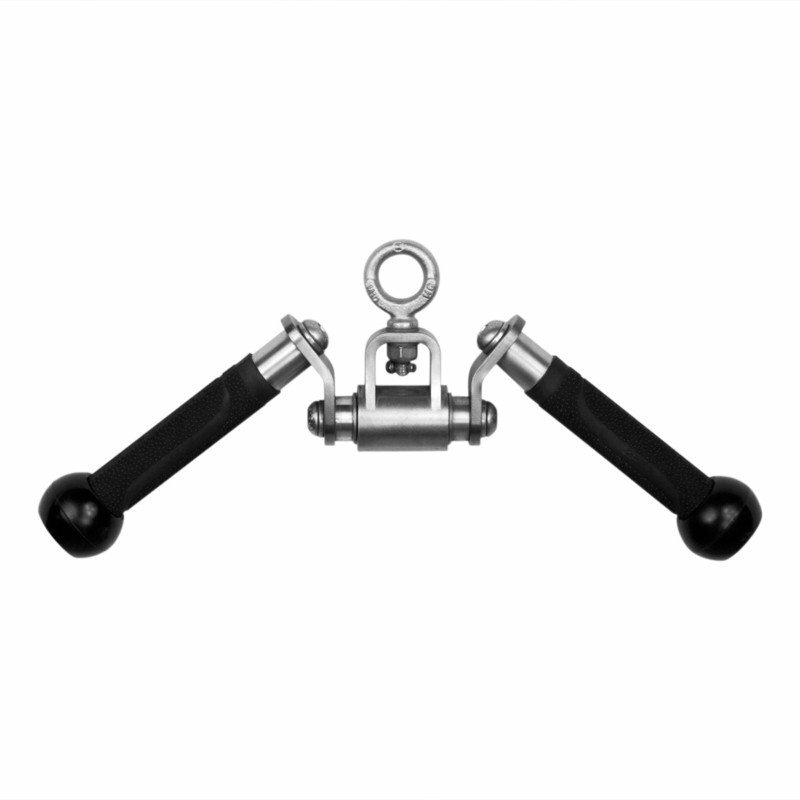 Be sure to check out the attachments with rubber grips and urethane grips for extra grab and comfort.